Has SaaS Become Mission Critical for You? Software as a Service has been around for a while. In its early years—late 1990s-early 2000s—it was mostly aimed at individual and departmental use, but in more recent years SaaS has been deployed at the enterprise level. There are companies that don’t use anything else. In the beginning, SaaS was used by companies more for productivity applications like web conferencing, managing travel expenses and sales contacts, or time-tracking than for core business applications. Since then, a lot has changed. SaaS is no longer a niche but an accepted delivery platform for all business functions. Employees are using SaaS offerings every day to do their jobs. SaaS solutions like Office 365, Salesforce.com, SAP HANA, or Oracle Fusion Financials are good examples of enterprise SaaS applications. The downside of this is that availability issues or performance problems are a reality with remotely hosted and delivered SaaS applications. 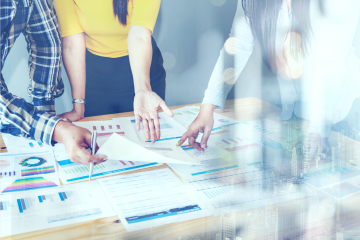 These performance issues are largely beyond the control of your own IT department but they are negatively impacting the productivity of your workforce and ultimately, the profitability of your company. If your organization is moving in this direction, then you have to realize that SaaS performance is something that can no longer be neglected. 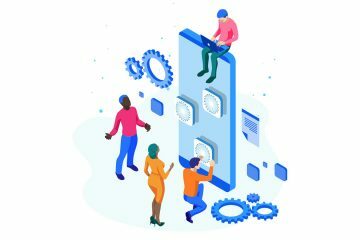 Just like you use monitoring to track the performance and availability of your internal applications, you need to put a process and the right tooling in place to monitor your SaaS applications. But how do you manage something that you don’t control? Most of the tools that are used by your IT department simply aren’t equipped to cover this. You cannot install APM agents on infrastructure that is not yours, have visibility into the code of your SaaS applications, or use your network monitoring software to monitor traffic outside your own network. With Catchpoint, this is no problem at all. Our global network of monitoring probes is able to monitor all internet applications. We can log-in as one of your employees, perform all required activities, script common interactions, and provide you with all the information you need about performance and availability of SaaS applications from around the globe. We can even install on-premise nodes inside your offices or business partners’ offices if the applications are not accessible from outside your network. This can identify or eliminate local connectivity issues as the culprit and isolate performance issues to the SaaS provider. 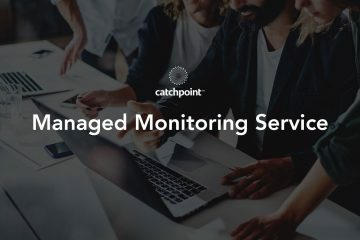 If you want to ensure that your SaaS solutions are meeting your quality expectations and your service level agreements, Catchpoint is here to help.